Note: This review was written over a decade ago for Legal Times. 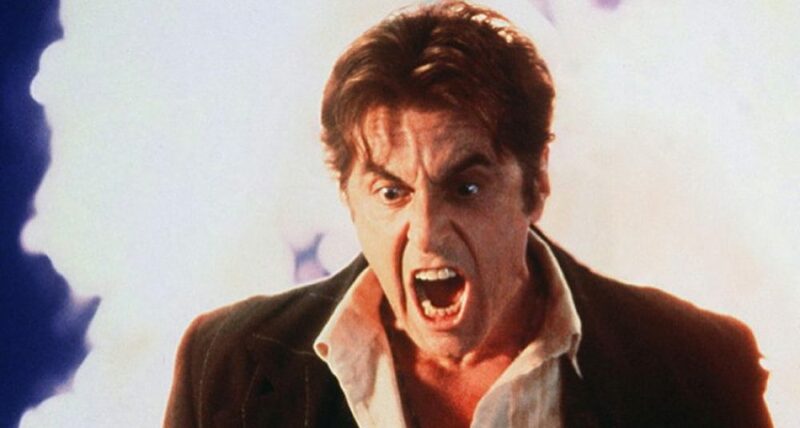 But the Blu Ray of this great film was released last month, and so…. Ordinary noises, human sounds dominate The Verdict, the greatest courtroom drama ever filmed. Whether they are the bells of a pinball machine, the hiss and hum of a hospital respirator, or the clink of ice cubes in a whiskey glass, they serve a far more important function here than mere aural landscaping. Director Sidney Lumet drapes his film in a shroud of stillness of grief, of regret. It’s dark. It’s Boston. It’s winter. There is no soundtrack in the movie to speak of — and extended sequences where no one talks. So that when we hear something as benign as the bumper of a pinball machine as the movie opens, we welcome the comfort it provides. Otherwise, we are passing through a grim universe, an unyielding moral vacuum. 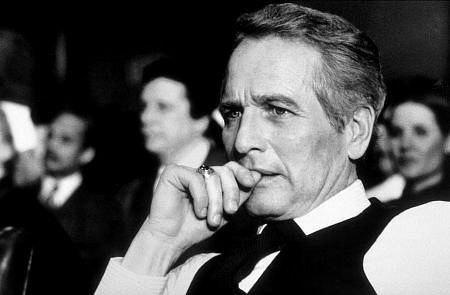 The movie’s protagonist, lawyer Frank Galvin, as captured by Paul Newman, is a shabby, self-hating drunk, taken to chasing coffins in funeral homes. Few Hollywood glamour gods have ever allowed themselves to be portrayed here as Newman has — and he was wrongly denied an Oscar for his performance. An early shot, with his hand shaking so violently that he must drink whiskey by bending his head and sipping it, is part of an initial tragic suite of scenes: Galvin getting tossed from a funeral home, Galvin holding court at the corner bar, Galvin trashing his law office. They establish the character for what he is: a mess, a loser. And the wonder of this movie is that, by the end of the film, he isn’t much different. There are no epiphanies, no 12-step programs, no sunrises and swelling of the orchestra. The movie takes great pains to show us that seeking justice for a few moments — and even getting well-paid for it — doesn’t transform you. It just makes surviving a hell of a lot easier. As with most great movies, the plot doesn’t torture us with intricate details. Galvin has a single case — one that he has neglected for months. A young woman lies in a coma, brain-damaged while giving birth. To Galvin, it’s literally a no-brainer. He plans on snagging a quick settlement with the Catholic Archdiocese that runs the hospital. An early scene shows Galvin visiting his client for the first time, as he sits on an adjoining bed in a constant-care ward. As the Polaroids of the comatose woman, tethered to a halo of life-perpetuating machines, take shape, we see that Galvin, maybe for the first time, is realizing that his client — and he — are human. It isn’t long before Galvin is seated before Boston’s archbishop, his arms gripped around his satchel like a shield. Galvin is there for the money — and isn’t disappointed. The archdiocese, worried about the publicity of a trial, offers him $210,000. Galvin, who stands to claim a third of any settlement, is struck by how neatly the offer is divisible by three. “When they give you the money, that means you’ve won,” Galvin’s aged mentor, Mickey Morrissey (Jack Warden), tells him. But Galvin isn’t so sure, and this is where “The Verdict” reaches its pivot point — one that has surely earned it some condemnation in the minds of legal ethicists everywhere. Galvin, against the wishes of his client’s sister, rejects the settlement and decides to take the case to trial. The script, its dubious legal ethics aside, demonstrates its brilliance immediately thereafter. Waiting in the wings, unseen until just this moment, has been Galvin’s adversary, the archdiocese’s lawyer, the patrician Edward Concannon (James Mason). Concannon is so Old Boston that he sounds as if he’s English, which, of course, Mason was. But given the city’s history and continued preoccupation with All Things British, Mason is perfect. His Edward Concannon makes for a formidable foe for Galvin not because he is evil in a cardboard movie villain manner, but because Concannon understands his task as a defense lawyer so completely. “You’re not paid to do your best, you’re paid to win,” Concannon lectures. And, indeed, Concannon shows that there is little that he is afraid to do or say to get where he needs to go. The scenes where he leads a table of two dozen young lawyers through a trial strategy session with a brutal honesty is illustrative. There is little discussion about case law or morality. It’s more pragmatic. Witnesses are secured — or bought off. Favorable stories are placed about the plaintiff’s doctors with the local media. Black lawyers are brought on board to create the impression of a diverse legal team. It’s entirely cynical — and not without authenticity. Meanwhile, Galvin struggles. While this might be a classic Catholic tale of sin and redemption, he does not wear angel wings. He keeps drinking, particularly with his new female friend, the emotionally challenged Laura (Charlotte Rampling). After the two meet in a bar, Galvin takes her to his shoddy apartment and they embrace with whiskey glasses in each hand. Galvin’s medical expert disappears, courtesy of Concannon. A key witness refuses to testify. And an unsympathetic, imperious Irish judge (Milo O’Shea) refuses to give Galvin a continuance. In the movie’s most harrowing scene, Galvin surrenders to the inevitable. “We’ve lost,” he says to Laura. “It’s over.” He then barricades himself in a bathroom and suffers an anxiety attack. Galvin becomes overwhelmed by the events surrounding him, and Lumet, in a series of long shots, creates the impression of a man dwarfed by the institutions he has challenged. Newman is rarely in the center of the frame. Often he is off to the side, or in a small corner of the shot. The action, it seems, is happening around him — or in spite of him. This, of course, being a story about redemption, justice must be served. And at the climax of the film, it has been, but not before a startling betrayal and not without Galvin paying a severe price for his persistence. In fact, the more one watches “The Verdict” the less one sees it as a legal thriller, or a character-driven morality play. At its heart, it’s film noir, with Newman as the anti-hero and Rampling as the femme fatale. And, as all noir must end, this one closes with Galvin worse the wear for his trouble. The movie ends as it began, with a single noise, in this case a telephone ringing, lost in the midst of the darkness of human loneliness. This entry was posted in Blu ray, Movies We Can't Turn Off, The films of our lives by James Oliphant. Bookmark the permalink.